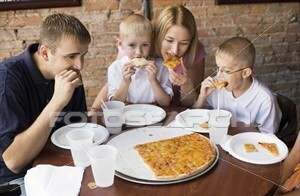 CMSText puts the same marketing capabilities in your hands that the big pizza chains are using for less than $2 a day. We specialize in creating and implementing mobile text message marketing campaigns for small and mid-size businesses! With our robust and easy-to-use Mobile Marketing Platform, mobile marketing costs a fraction of the time and money spent on other advertising, while yielding a much higher rate of return. It’s a slow night, the phone is dead. You need business now! Send out a text message to your customers and light your phone up! Newspapers and coupon mailers are expensive and take days if not weeks to plan and reach your customers. With your CMSText Mobile VIP Club you can send out a message and within minutes your phone is ringing with orders and your ovens are full. It’s a slow night, the phones are dead. You immediately send a message to your mobile marketing customer list, “10% off a large pizza with this text, good tonight only!” and your phone starts ringing. CMSText helps you quickly build a 100% Opt-in mobile list. These are customers who know you, like you and want your special promotions sent to their phone so that they can use them. We take care of everything at CMSText. That way you can concentrate on what you do best……make Great Pizza! *Mobile marketing campaigns average 10% to 30% redemption rates. So imagine the Money you will make with higher redemption rates!